Lisa de St. Croix is a visionary artist, using metaphor and symbols to depict the journey of the soul through her luminous oil and watercolor paintings. Lisa’s tarot and oracle decks are an interactive and insightful art experience for the art lover and spiritual seeker. 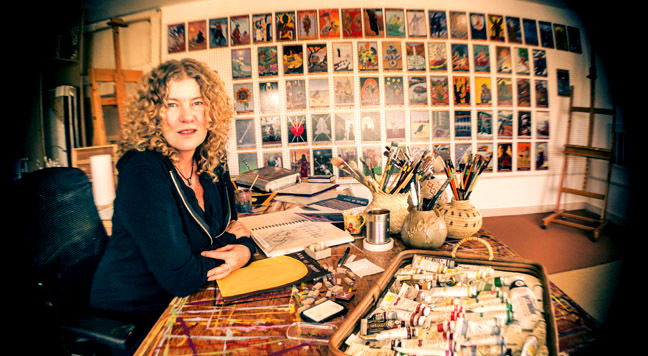 Visitors to her Santa Fe studio may receive a tarot reading, engage in a workshop or buy directly from her.